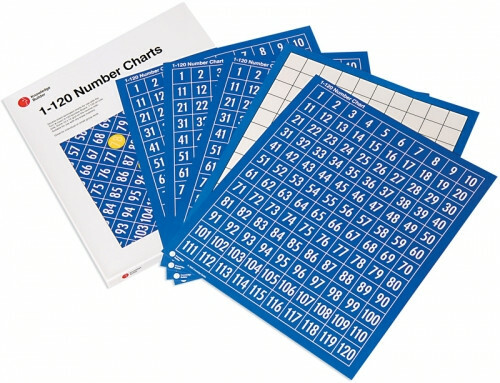 The 1-120 number charts enable children to practise independently or in small groups the basic counting skills modelled on the Turn & Learn number board. Importantly the number charts go to 120. This helps children overcome the conceptual misunderstanding they often experience when counting past 100; they get to 109 and say 200. 30 double-sided laminated charts (275 x 325mm). 1-120 on one side, blank 10 x 12 grid on the reverse side. A very handy item to have in the classroom. "These charts have been a life saving item to have in my classroom. Easy to write on and clean, they are a great size for the little kids. Blank side is also used for patterns."